Enter the name of the container here. A description for the container can be entered here. 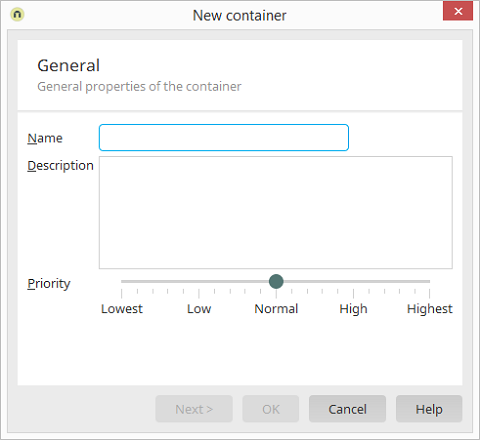 The priority determines the position of the container in lists in the User Manager.